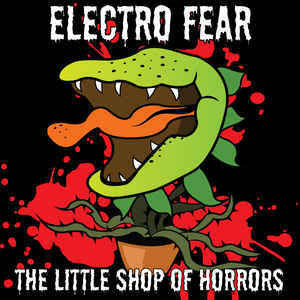 Background/Info: Electro Fear is a Polish duo set up in 2012 and inspired by old horror movies. This album is their debut work featuring 11 songs plus 5 remixes. The digital version of the album has been released on Dark Tunes Music Group. Content: The sound clearly reveals a dark-electro sound mixed with horror-inspired melody lines. It makes the originality of the band while at the other side you might notice influences reminding you of Suicide Commando. The remixes have been accomplished by Cold Therapy, Cube-X, Orbicide, Reactor7x and Suppressor. 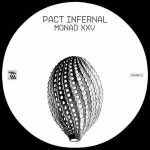 + + + : Electro Fear clearly tries to bring a personal touch to the dark-electronic style. They recovered their songs with spooky melodies and haunting effects, which clearly make the particularity of the band. You will also notice a few EBM-influences. The best part of the work comes at the end. The songs are more elaborated while the remixes section reveals great contributions from Cube-X, but especially Orbicide and Reactor7x. – – – : Some of the spooky melodies are a little bit cheap. It also sounds like this album was made with less equipment or at least you’ll hear a debuting formation, which has to improve most aspects of their production. It says enough when the remixes are much more efficient than the original versions. Conclusion: Electro Fear needs more experience and maybe a producer who can help them improving their sound. This is just a beginning, but not really a convincing one! Best songs: “Profondo Rosso”, “My Revenge”, “Carnival Of souls – Reactor7x Slave Mix”, “Housze On Haunted Hill – Orbicide Remix”.